The Addams Family is making their return to the big screen this fall and the first teaser trailer and poster have been released! This time around, the family will be returning with an animated film with Oscar Isaac, Charlize Theron, Chloë Grace Moretz, FinnWolfhard, Nick Kroll, Bette Midler and Allison Janney lending their voices to the various characters. 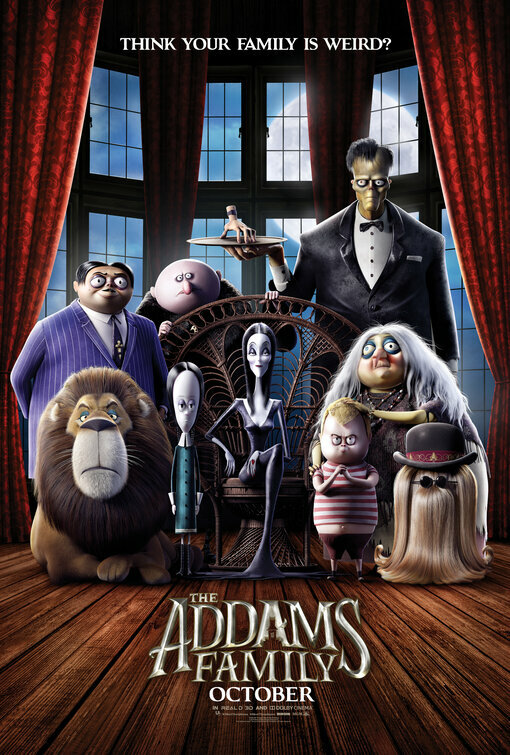 The Addams Family (appropriately) arrives in theaters on Halloween. Tags: animated films, animated movies, Chloe Grace Moretz, family movies, Halloween, the addams family. Bookmark the permalink.